Columbia Station, OH – For the third consecutive year, Mallard Creek’s Junior PGA League team made it’s way to the biggest stage in junior golf: the PGA Junior League National Championship. 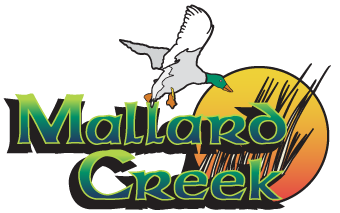 Following great seasons in both 2015 and 2016, the Mallard Creek All-Stars would not be deterred in 2017 and once again proved just how good they really are. With more than 42,000 youngsters participating on 3,400 teams at golf courses across the country, the PGA Junior League has become a rousing success in growing the game and creating a fun atmosphere to learn and compete for juniors of all walks of life. Held at Gray Hawk Golf Club in Scottsdale, Arizona, the PGA Jr. League National Championship is no small event. From skill challenges to heart racing matches, cheers from family members and friends to fist pumps and high fives, each and every junior had an unforgettable experience. And, tour players Geoff Ogilvy, Graham DeLaet and Colt Knost took some time out of their schedules to meet with all of the junior phenoms from the final eight teams. Pretty cool, right? “All of these kids have worked very hard to get to where they are as golfers. It’s been an absolute joy to watch them compete throughout the season and ultimately in Arizona. While we did not win the National Championship, making it here for three years in a row speaks volumes to what these junior golfers can accomplish on and off the course,” reflected Coach and PGA Professional, Jim Wise. Golf Channel was there to capture every moment of the PGA Junior League National Championship. At 8 pm on December 5, they will air a tournament recap featuring everything from the event. WOW! That’s outstanding! Congratulations to every team member, coaches, parents, Mallard Creek and anyone else involved with this terrific program!